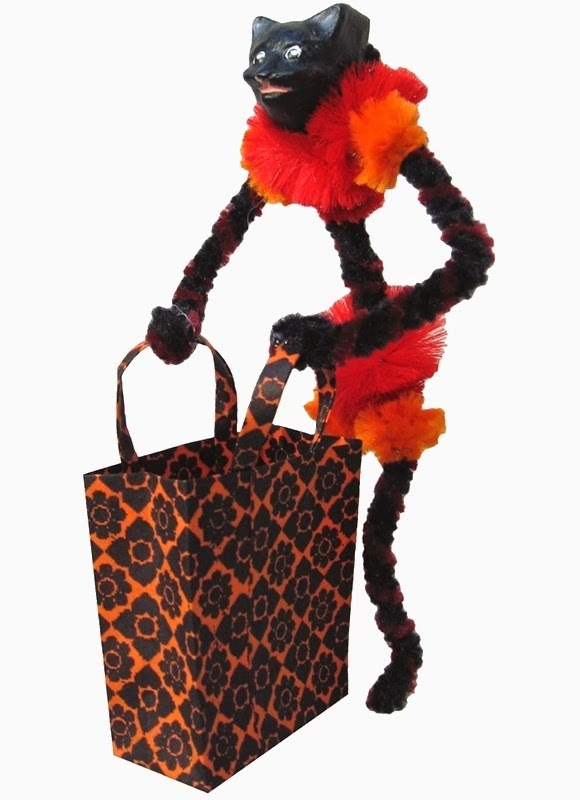 Happy Holidays: "TRICK OR TREAT!" 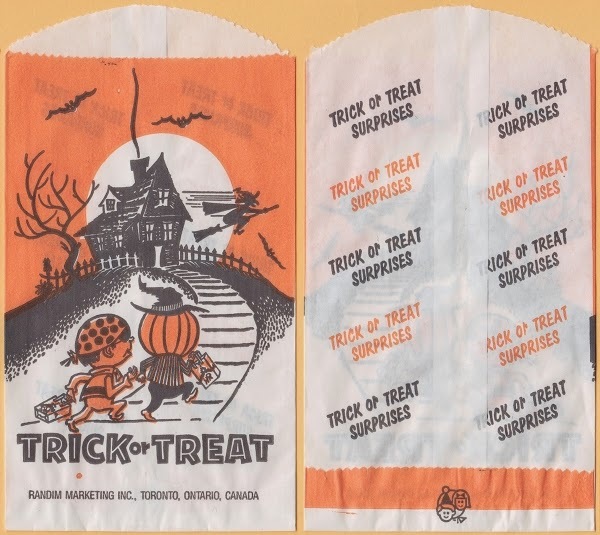 Hallowe'en treat bags Part 2. 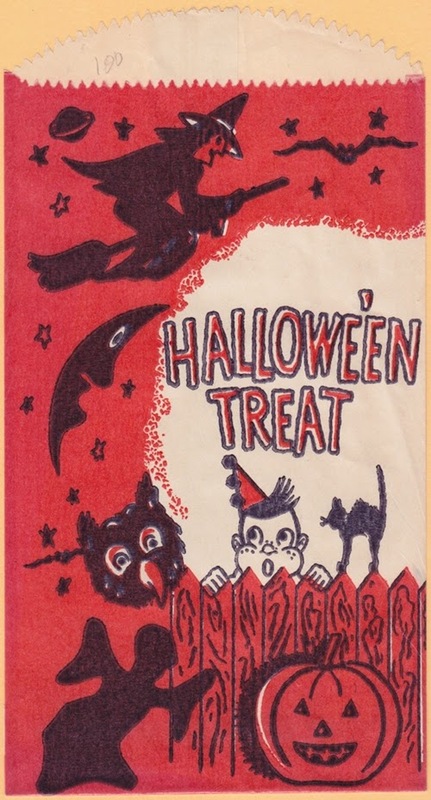 Here is part 2 of the treat bags as promised. I had so many images I thought that it would be better to divide them into two posts. This treat bag is made with glassine paper, a glossy transparent paper. 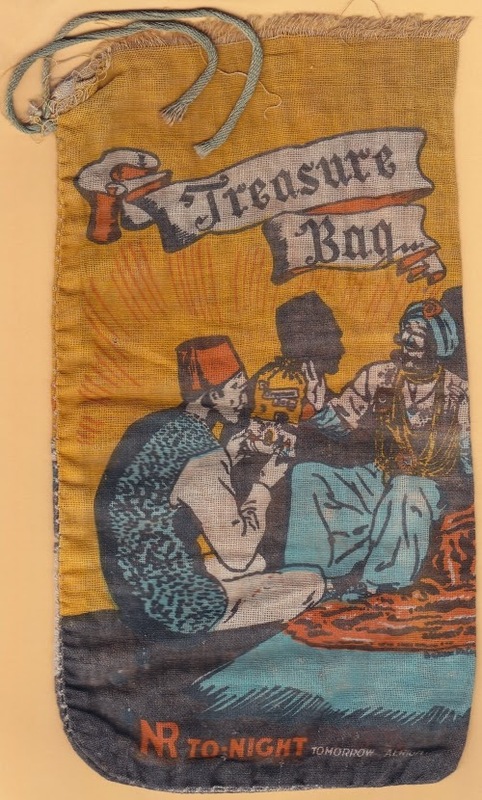 This is a later version using ordinary paper; it is smaller than the original bag. Remember in my last post I said that the round top bags are old and the straight top bags are newer; this newer reproduction has a rounded top; I was wrong on that point wasn't I? 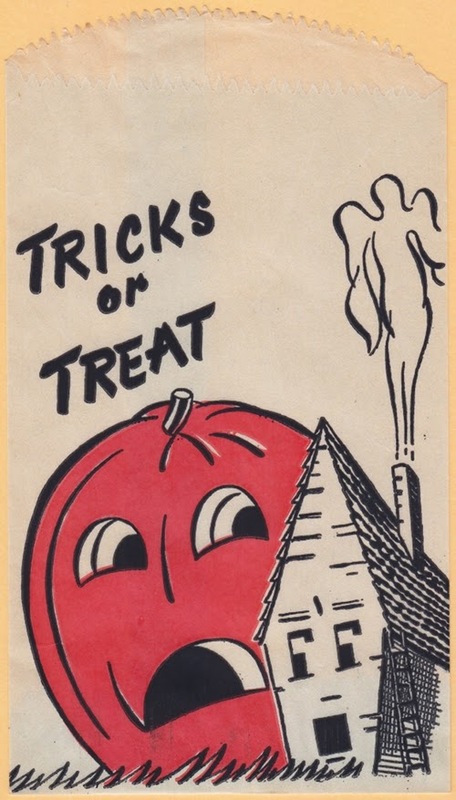 I love the surprised look on the house and the pumpkin. 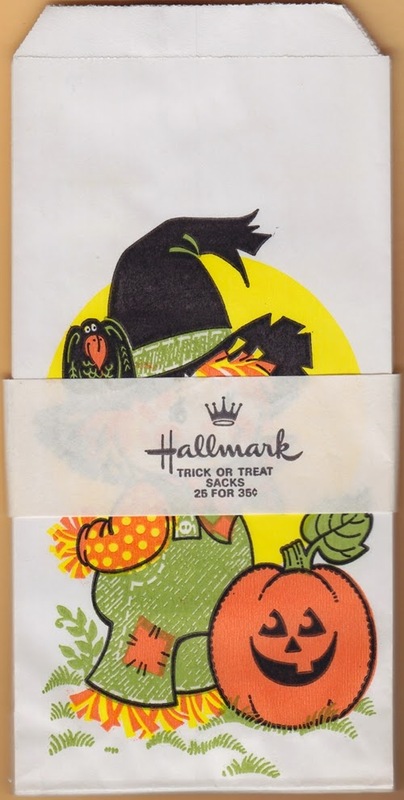 This Hallmark treat bag came from the package of treat bags below; 25 bags for 35 cents. 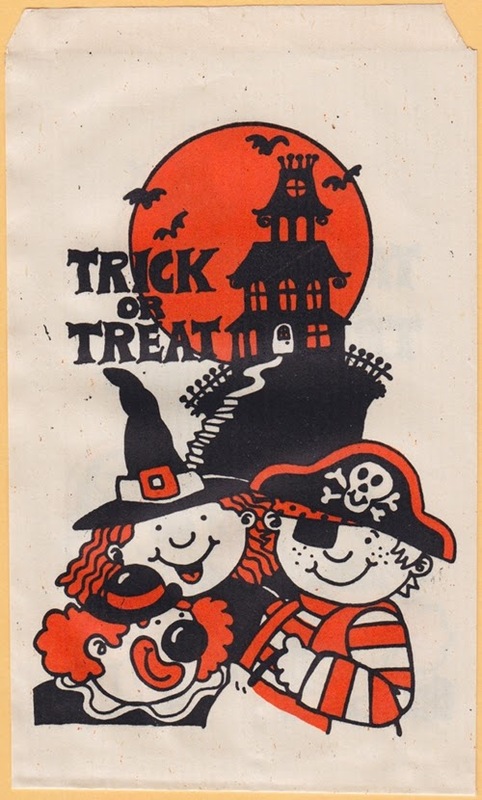 Here is another Hallmark treat bag that belongs to the 35 cent package of treat bags pictured below. 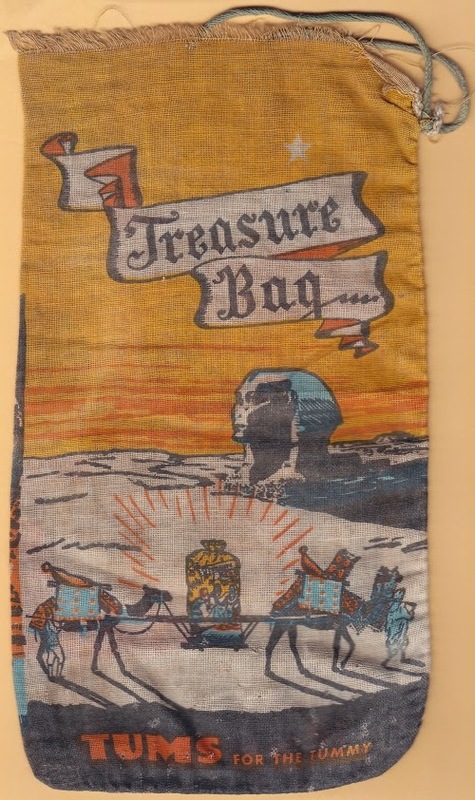 This treat bag I remember getting in my stash of goodies, I love it! It is made with the glossy transparent glassine paper. 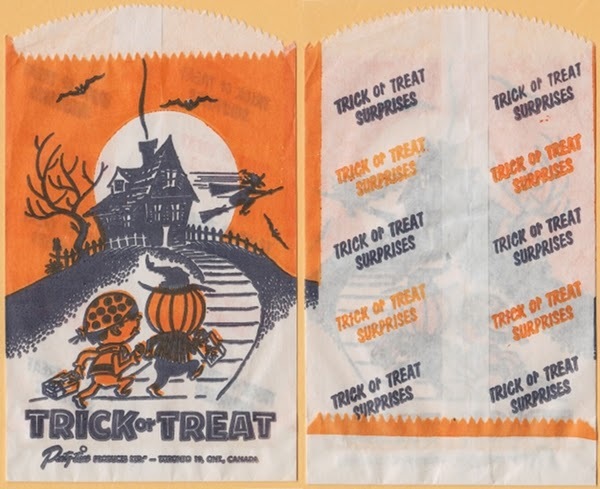 This is a paper version of the same treat bag done years later. 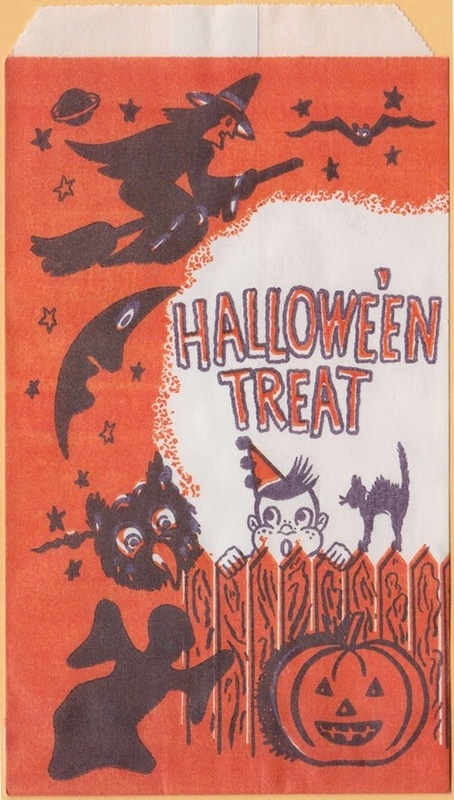 I bought this treat bag two years ago at Hallowe'en and Vine, I was one of the participating artists. I would like to know how it was used. 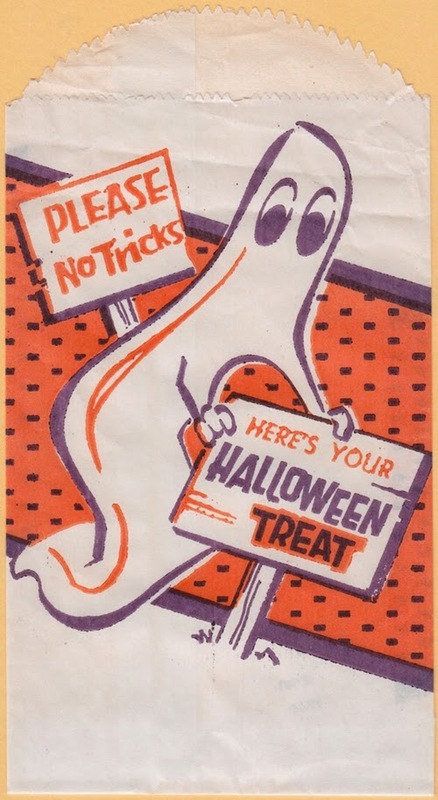 I don't think that it was a Hallowe'en treat bag, I could be wrong. I don't really care if it isn't, I love it. This side is advertising "Tums, for the tummy". The other side is advertising "NR", a remedy for constipation if I am correct, NR = Nature's Remedy. Click here to go to my Etsy shop to purchase my, "What did you get Jack? ", party favour.